Dejing Dou is a Professor in the Computer and Information Science Department at the University of Oregon and leads the Advanced Integration and Mining (AIM) Lab. He is also the Director of the NSF IUCRC Center for Big Learning (CBL). He received his bachelor degree from Tsinghua University, China in 1996 and his Ph.D. degree from Yale University in 2004. His research areas include artificial intelligence, data mining, data integration, information extraction, and health informatics. Dejing Dou has published more than 100 research papers, some of which appear in prestigious conferences and journals like AAAI, KDD, ICDM, ACL, EMNLP, CIKM, ISWC, JIIS and JoDS. His DEXA'15 paper received the best paper award. His KDD'07 paper was nominated for the best research paper award. He is on the Editorial Boards of Journal on Data Semantics, Journal of Intelligent Information Systems, and PLOS One. He has been serving as program committee members for various international conferences and as program co-chairs for four of them. Dejing Dou has received over $5 million PI research grants from the NSF and the NIH. He was promoted to Full Professor in 2016. Prof. Dejing Dou focuses on artificial intelligence, data integration, data mining, information extraction, and health informatics. Information resources distributed across the Internet are hard to process automatically for knowledge acquisition because their data are structurally and semantically heterogeneous. Also, most current AI or machine learning systems are hard to scale to efficiently process large size of data and knowledge. 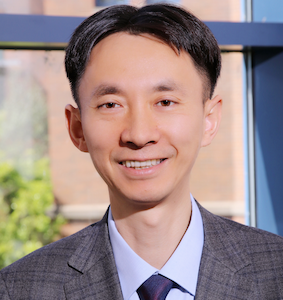 Prof. Dou's research combines knowledge-driven and data-driven approaches to address three critical challenges in processing and managing real world data and knowledge: heterogeneity, reusability, and scalability.